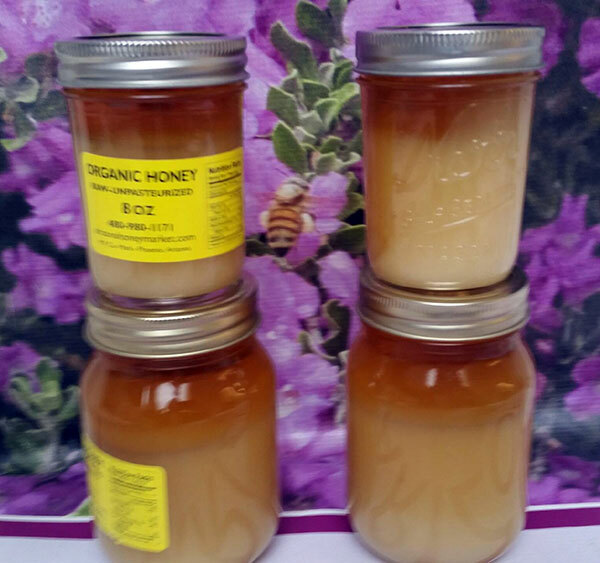 Our 100% Pure Raw Organic Mesquite honey is now available for sale! Order your jars today before it's sold out and brace yourself for an unforgettable experience! 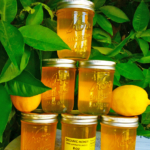 Our 100% Pure Raw Organic Mesquite honey is now available for sale! This highly acclaimed gourmet delight is rare to come by. Some people refer to it as “white honey” because it turns into a soft white cream as soon as it’s sun. Our killer bees produce the finest variety of pure mesquite you can find in Arizona! Order your jars today before it’s sold out and brace yourself for an unforgettable experience! I tried this honey while in AZ and I absolutely loved it! I live in chicago and I don’t buy any other honey now. This one in particular is creamy and has an amazing texture, and the flavor is the best I’ve ever had. It’s also good to know exactly what I’m buying – 100% honey. No sugar, corn syrup, or any other garbage 99% of other sources mix in. Plus this is the best way for the bees, no medication or feeding whatsoever. The bees live 100% naturally, the way it should be. I read about your company on The People’s Chemist. I ordered 2 different flavors and they are great. I’ll be sure to tell all my friends. I am extremely satisfied with the quality of your honey…. I am EXTREMELY DISSATISFIED with your customer service. I bought your honey in good faith at the Scottsdale Farmers Market. At no time did you tell me the price. I would never have paid $50 for a jar of honey. There were no prices listed anywhere at your booth. Also your refusal to either take it back and refund my money or offer any other type of compensation is very bad business practice. In the end we did satisfied the customer and by the way I do have the PRICES on the tables.